Even one day is enough to get a taste of this incredible world city. In this itinerary, I'll show you how to make the very best of a short stay in Tokyo. One day is enough to get a nice taste of Tokyo. Base yourself somewhere central to save time. Visit Asakusa, Shibuya, Harajuku and Roppongi. See below for more details and the full itinerary. 9:00am: Head up to Asakusa. This is the spiritual heart of Tokyo and a good place to start your day. 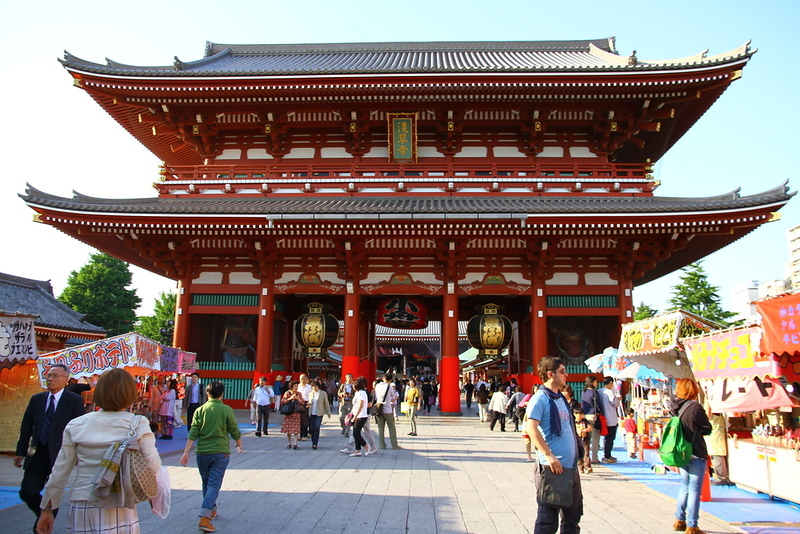 Visit Senso-ji Temple and nearby Asakusa-jinja Shrine. 10:30am: Take the Ginza subway line straight across town to Shibuya. It's a 30-minute ride, so try to grab a seat and relax. 11:00am: Arrive in Shibuya. Take the Hachiko exit and make your way across the famous Shibuya Crossing and up into one of the city's best shopping districts. Check out Tokyu Hands and Parco department stores. Eat a snack midmorning to carry you through to 1:00pm so you can avoid the noon-1:00pm lunch rush. 1:00pm: Eat lunch somewhere in Shibuya. Don't forget that all the department stores in Shibuya have huge restaurant floors. For more choices see the Places to Eat section of the Shibuya district page. Alternatively, eat lunch in your next stop. 1:45pm: Take the Yamanote Line one stop north to Harajuku. Go west from the station (across the bridge) and enter the green and beautiful grounds of Meiji-jingu Shrine. After visiting the shrine, backtrack to the station and take a stroll along Omotesando, stopping for coffee along the way to recharge. 3.30pm: Take the Yamanote Line two stops south from Harajuku to Ebisu Station, then switch to the Hibiya Line subway and take that two stops east to Roppongi. 4:00pm: Arrive in Roppongi and walk west from Roppongi Station to the Roppongi Hills complex. Refuel with a cup of coffee there (the Starbucks at the TV Asahi/Tsutaya complex has good people watching). Then, head up to the 52nd floor Tokyo City View observation deck of the Mori Tower to see the city as evening falls. 6:00pm: Eat dinner in Roppongi. See the Roppongi district Places to Eat section for some of my picks. 8:00pm: If you still have any energy left, have a drink in one of Roppongi's many bars. See the Roppongi district Nightlife section for some recommendations. 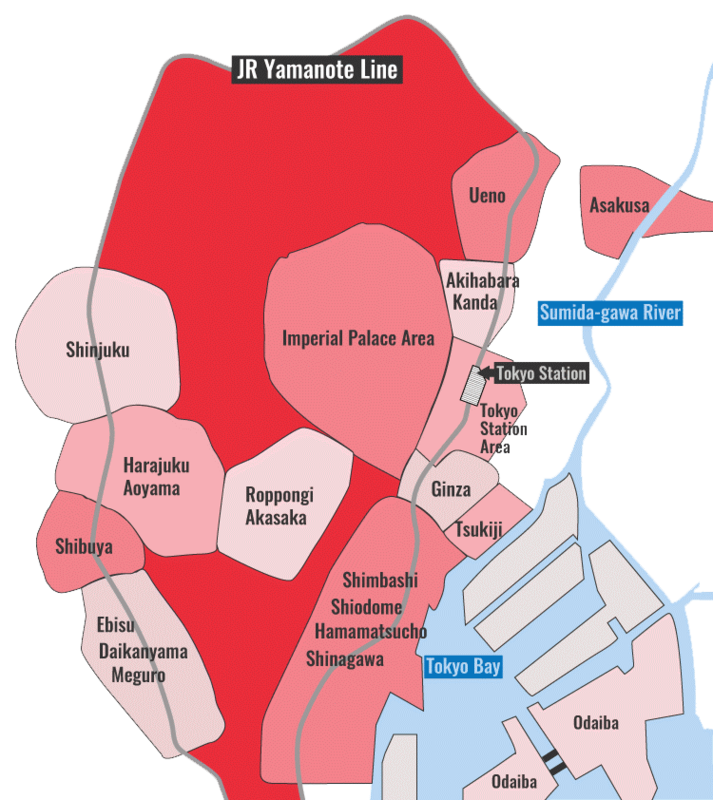 If you're tired or just want to sleep in, cut out Asakusa and start in Shibuya. This can remove up to one hour of sitting on trains and subways. If you're going to visit Kyoto on your trip, you can safely skip Asakusa. If you want to see an exquisite museum and garden, instead of visiting Meiji-jingu Shrine in Harajuku, walk or take a taxi to the Nezu Museum when you arrive at Harajuku. Don't try to do any more than this in one day in Tokyo – you'll tire yourself out. If you want to relax, subtract one or two places from this itinerary. As usual, it's better to enjoy a few places properly than to sprint through many places.